Prof. Demetrios Kouretas was born in Patras , Greece in 1962. He studied Pharmacy ( 1985) and received his PhD in Biochemistry ( 1989). He spent the period 1990-1992 at Harvard Medical School , USA , as post-doctoral fellow. His field of research is the mechanisms of antioxidants in health and disease. He has published more than 150 peer-reviewed papers with more than 4000 citations with an h-index of 34. 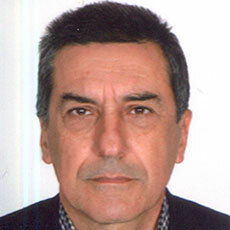 He is Professor of Physiology-Toxicology in the Department of Biochemistry-Biotechnology, University of Thessaly, Greece. He is Associate Editor of Food and Chemical Toxicology (Elsevier). He is co-founder and scientific advisor of Eatwalk , a spin-off company specialized in functional food development ( www.eatwalk.gr).